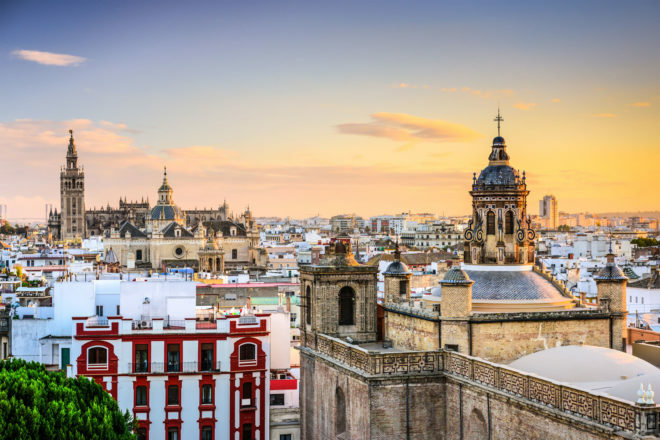 Insider’s guide to Seville in Spain, ranked #98 in our countdown of ‘100 Most Incredible Cities in the World’. Taste the roots of Andalusian cuisine with a modern style, enjoying delicious tapas in the patio of Hospes Las Casas del Rey de Baeza, built in the 13th century. Regional cuisine and original creations, all raw ingredients are received daily from their points of origin. The service at Becerrita is excellent and the staff is multi-lingual. This is a very modern restaurant which samples innovate cooking and wine. Azotea has five chefs and each specialises in a specific cuisine. This medieval shipyard dates back to the 13th century. In the 17th century, five of the sheds were converted for use by the Hospital de la Caridad (Charity Hospital) and in 1993 the remaining were restored. La Casa de Pilatos (Pilate’s House) is the permanent residence of the Dukes of Medinaceli. It’s a great place to have a private dinner with a group. It is perfectly conserved and in a very nice neighbourhood (La Alfalfa).